It is my privilege to introduce to you my friend and colleague Mutua Mahiaini as, on April 19, he becomes the fifth International President and General Director of our Navigator Worldwide Partnership. I first met Mutua on a trip from Nigeria to Kenya in 1979. I remember talking with him about the Scriptures during a meal at a Navigator training camp on the shores of Lake Naivasha in the Great Rift Valley. At that time, Mutua was one of the young emerging leaders in the Kenya Navigator ministry. The country leader at the time, missionary Bruce van Wyk, was understandably encouraged by God’s work in Mutua. By the time Chris and I moved to Nairobi to start leading the Africa Navigator work, Mutua had married Stephanie. They were ministering at Kenyatta University on the outskirts of Nairobi. As we got to know them over the next few years, we were drawn to their infectious faith and genuine care for people. We sensed God’s hand on Mutua’s life and leadership. When Bruce returned to the U.S. in 1986, it was not a surprise to see the Kenya Navigators choose Mutua as their new National Director. During the next 12 years, Chris and I had the privilege of working more closely with Mutua and Stephanie, first as they led the Kenya Navigators and then when they moved to Côte d’Ivoire to help pioneer the Navigator ministries throughout French-speaking Africa. While they led the Kenya work, they lived within walking distance of us. Their four children became extended family members of the Treneer household, forming strong bonds of love with our children. Stephanie’s warmth and spontaneity blessed us (and continues to do so). We also got to know their parents. 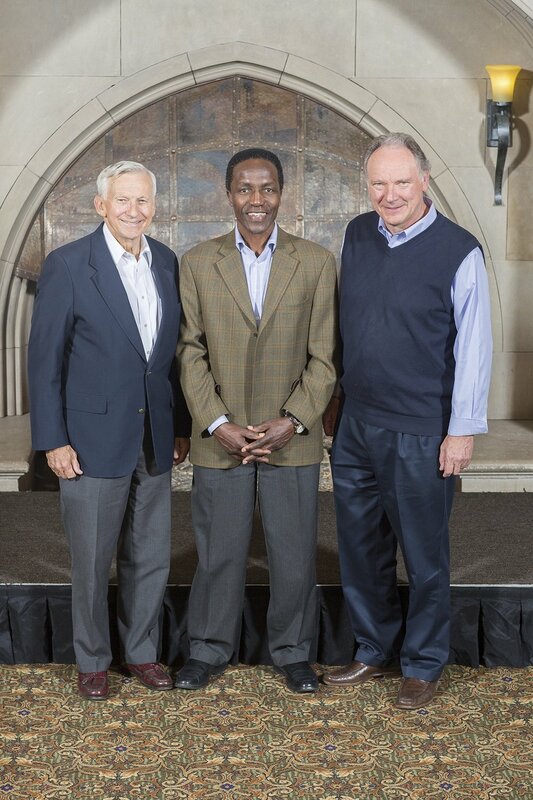 Mutua’s father, a respected evangelical bishop, met the first Navigator missionaries in Kenya in the 1950s. The Navigator work in Kenya flourished under Mutua’s leadership, as did the work in Côte d’Ivoire. Mutua demonstrated a wonderful ability to build and lead teams. He developed strong leaders in both countries, and became a trusted and respected member of the Africa Regional Team. He traveled extensively, particularly into the French-speaking countries, where his fluency in French, his cultural sensitivity, and relational adaptability won him not only influence and respect but affection. So when God led Chris and me to leave Africa and join the International Executive Team, in June of 1998, the rapidly growing Navigator work in Africa chose Mutua as their next Regional Director. Facing many obstacles, he led the Africa Navigators through 13 years of growth and fruitfulness. They built a strong team and saw the Africa region become an influential partner and contributor to our Navigator work around the world. With confidence in the team Mutua had built, I was able in 2011 to ask Mutua and Stephanie to move to Colorado Springs to join the International Executive Team. Over the last three years it has once again been a joy to see the way they have built trust and growing influence across our Worldwide Partnership. This was evident as a Selection Council of 42 Navigator leaders from every region of our work identified Mutua as God’s choice to lead us into the years ahead. I commend Mutua and Stephanie and their family to your prayers and support as, in dependence on the Lord, they face all that Mutua’s new leadership role will demand.